Australian architectural design and construction practices have evolved their very own unique flavour. And having access to a wide range of architectural cladding types and profiles is vital to maintaining and supporting that fiercely independent creative spirit. But creating beautiful architectural designs isn’t only about surface beauty. Quality and fit for purpose are essential, intrinsic aspects of truly ageless architectural cladding. 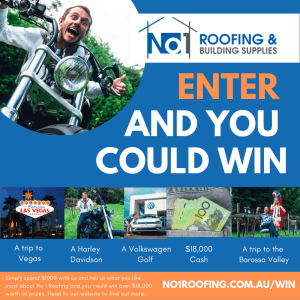 Whether you’re an architect, designer, home owner or builder you need to know that your inspired design will stand the test of time and become part of Australia’s great tradition of innovative architecture. We supply a vast range of trusted architectural cladding systems, profiles, and materials allowing you to have complete freedom in your design choices. No longer are you restricted by the ‘little boxes made of ticky-tacky’ syndrome that once plagued housing and building construction. 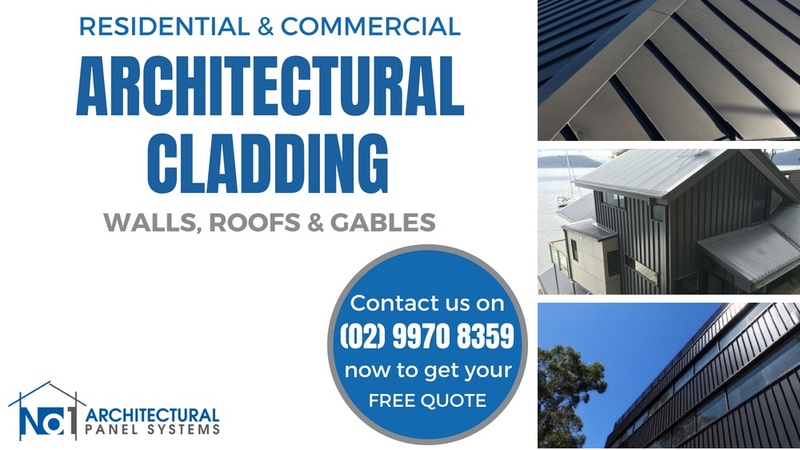 Today’s wealth of high-tech cladding systems offers an enormous variety of creative solutions for walls, roofs, and gables that combine elegance, strength, and class. Modern cladding systems feature a full range of interlocking panels and flashing’s that ensure there are no weather tightness or compatibility issues. Using integrated external metal cladding systems also makes installation a breeze and saves you money on construction costs. 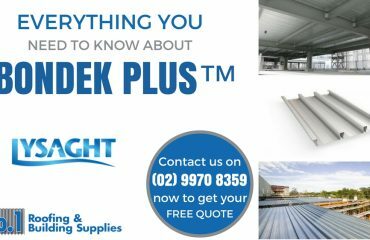 Standing Seam, Snaplock, SNAP-LINE 45® , and Nailstrip are all ideally suited for both roof and wall applications. Weather tightness is assured thanks to the cleverly designed male rib that slots into the corresponding female grove on the neighbouring sheet. This ribbed design feature allows for experimentation with horizontal, vertical or even diagonal installation. The fixing screws are concealed on these modern steel cladding options adding protection to an area of traditional cladding types that was prone to failure. Wall cladding systems add more to the special character of your property than probably any other single aspect. 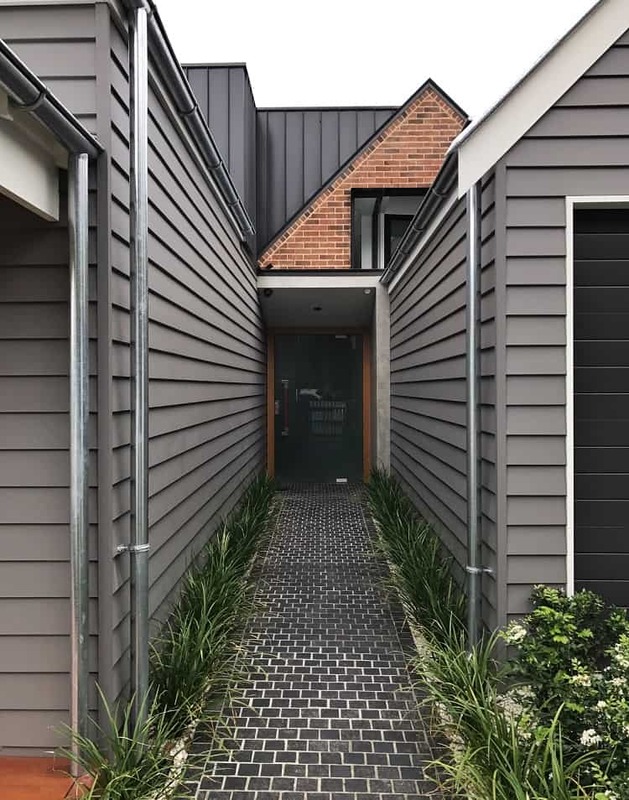 A poor choice of wall cladding can not only detract from the value of your home it can also undermine the building’s overall weather tightness performance. Modern ribbed or interlocking panels maintain a solid barrier against water entry without the need for extra measures such as battens. Interlocking panels are designed for a spectacular range of wall applications. The concealed fixing screws and the special recessed nature of the male/female join deliver an even better resistance to water ingress. Interlocking panels also offer a softer edged look than the strongly ribbed panels with their deeply shadowed profiles. Mixing different types of cladding opens up a whole new world of exciting design possibilities; allowing you to play with contrasting texture, line, and colour for eye-catching sophistication. You can also experiment with staggered joins and varied panel sizes for a contemporary or futurist look. The roof is one of the most visible aspects of many buildings, especially residential houses, and it can make or mar that all-important first impression. Modern roof claddings provide options for curved panels and flat roofs as well as many variations on the traditional sloping roof theme. 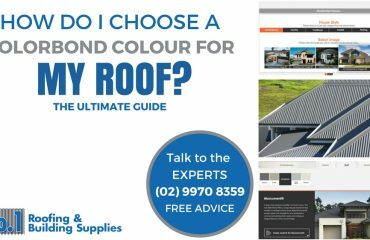 Durability, ease and speed of installation, and colour and profile options make steel roofing panels one of the most popular roof cladding types in Australia. Rib profiles are designed to carry large amounts of water off your roof quickly while eliminating the possibility of wind-blown rain getting into places it shouldn’t. For this reason some profiles are more suited for low pitch roofs. 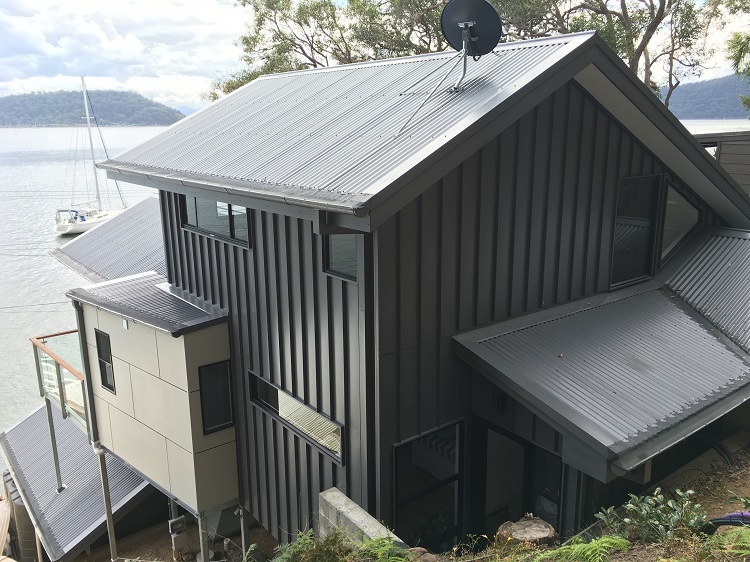 The steepness of gable roofs brings special challenges for architectural cladding including the need for capping ridge flashings, valleys and barge flashings. For the inspired designer gable ends offer lots of potential for contrasting cladding options. Check out the Interlocking panels for a modern take on a weatherboard look. Flexibility is key to fulfilling your architectural design vision. You need a flexible range of options to meet that special design brief and it all starts with an exciting range of cladding materials to take your project to the next level. Timber looks great but it comes with enormous water and pest resistance problems. Fortunately, we offer timber-look steel panels that offer all the stunning warmth and texture advantages of wood without the drawbacks. 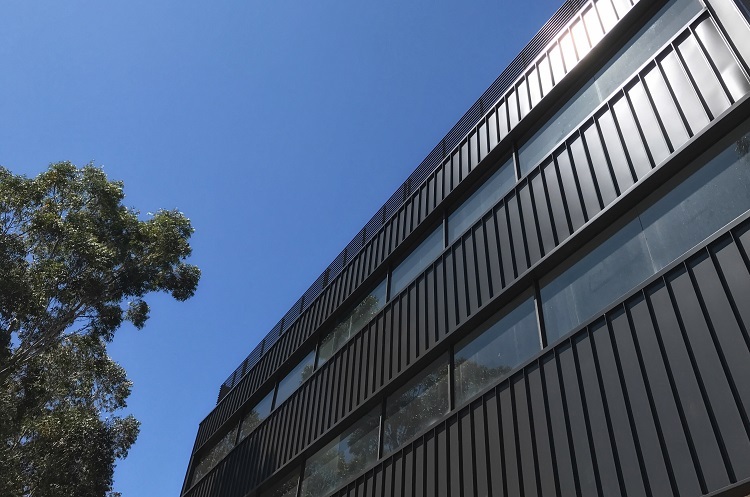 Metal cladding systems are one of the most commonly used cladding types in Australia. 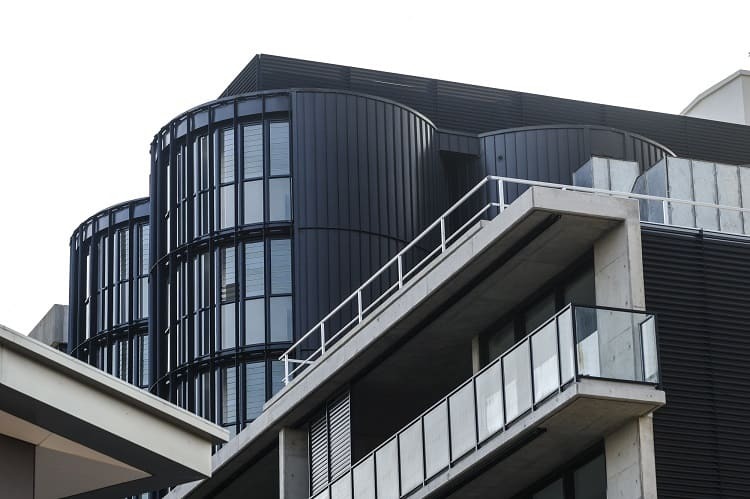 Superior strength and durability, the ability to be shaped, and its excellent spanning capacity combined with an enormous colour range make steel the obvious choice for most cladding requirements. Industry-leading coating practices such as galvanised, Zincalume, and Colorbond ensure all steel products will endure in spite of all that the Australian climate can throw at them. And Corten pre-weathered steel panels with their rust-coloured warmth create a real point of difference for roofs and walls. Translucent polycarbonate panels are a great way to let the light in on decks and patios. In the good old days the only steel roofing profile was corrugated. Today’s range of different rib heights, shapes, and pan sizes brings a degree of artistic freedom that earlier generations of designers and builders couldn’t even dream of. 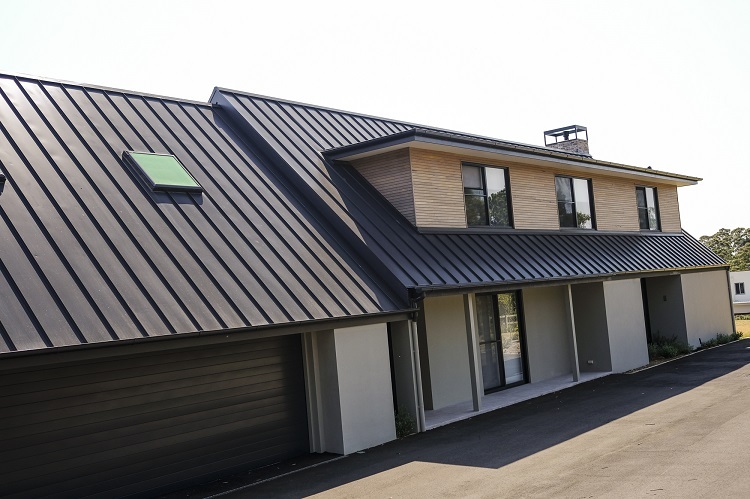 Standing seam panels are perfect for wall or roof (minimum pitch 3°) applications. Snaplock appears to be similar to standing seam but the panels simply snap together without the need for crimping. Roof (minimum pitch—1.5°) or wall application. Nail strip is fixed by screw or nail directly to a rigid substrate for fast, straightforward installation. Suitable for roof (minimum pitch—7.5°) or wall application. Interlocking panels offer a contemporary take on wall cladding. The recessed crimped joint locking panels together provide exceptional waterproofing protection as well as a highlighted design feature. Reveal panel widths up to 300mm and the freedom to lay the panels horizontally, vertically or diagonally emphasise the strong lineal character of these panels. 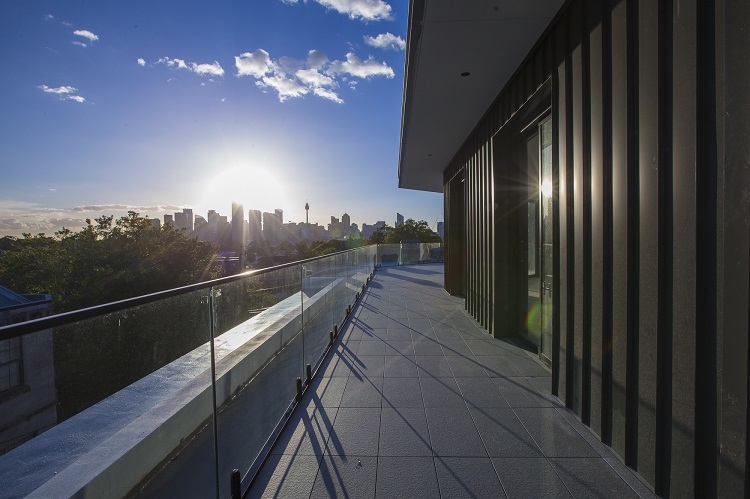 Interlocking panels come in a wide range of material choices; zincalume, Colorbond, Corten, aluminium, and copper. 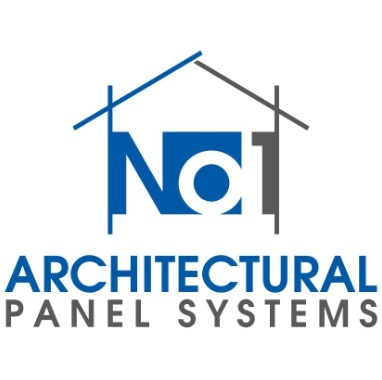 The strongest Architectural Panel on the market. With tall 45mm ribs mark SNAP-LINE 45® out as a special panel ideally suited for roof or wall cladding. Available in Colorbond, Zincalume, zinc, copper, aluminium, and Corten options expand your design palette. Its inherent strength allows Snapline to span relatively large areas unsupported in certain applications. SNAP-LINE 45® is cyclone tested and comes in different pan widths. Roof and wall cladding for residential housing have an enormous impact on street appeal and prestige. The huge range of external cladding options allows the designer to maximise architectural appeal with bold colours, strong (or subtle textures), forms, and lines. Think about how you might highlight linear patterns or contrast curved and angled panels; the possibilities are endless. 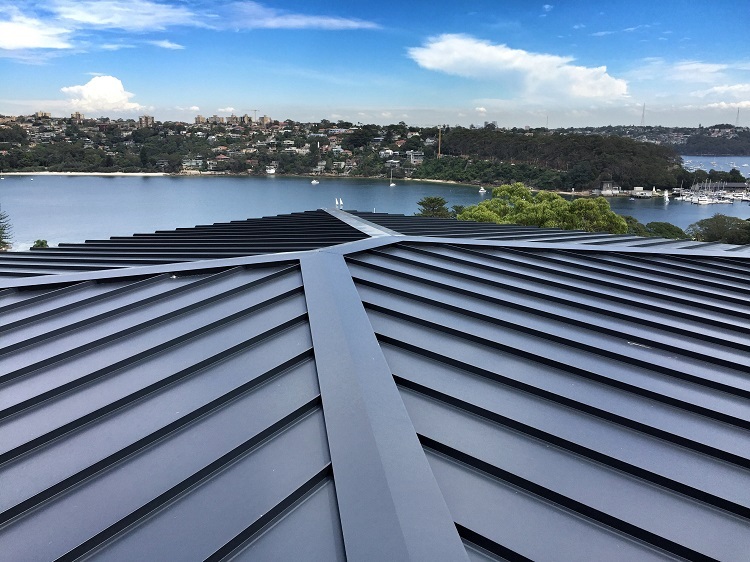 Ribbed profiles such as Standing Seam exude a strong, deeply shadowed look or you can go for a softer look with Interlocking Panels. Maybe the warmth of Corten Steel will add the perfect contrast with other design elements such as stone or glass. With so many options to choose from residential design has never been more exciting. Explore some of our recent projects below and be inspired by the exciting possibilities for your next build. Architecturally designed roof and wall cladding is an important part of today’s commercial building brief. That’s because image is a key part of your brand. And the appearance and design of your centre of commercial operations is one of the most memorable impressions that your customers will retain. Now you can truly shape how the world sees your business with a superb array of architectural cladding systems. Cladding options such as SNAP-LINE 45® or Interlocking panels provide strong linear patterns. Maybe you want to add a sense of liberation with curved panels or perhaps it’s the rust coloured warmth of pre-weathered Corten panels that speaks to your brand. Mix it up with random panel placement or sizings for a design effect that’s always growing and changing. Whatever the business message you need to send say it with steel. We feature some of our recent commercial projects below because we believe that inspiration begets inspiration. No1. 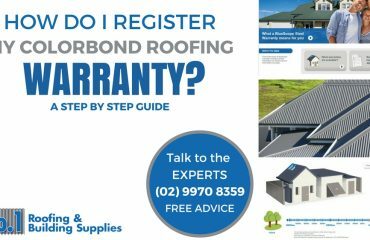 Roofing and Building Supplies are proud to use superior Australian-Made steel. We use industry leading best practices in all our manufacturing and handling processes. We believe in keeping ahead of the pack with the latest hi-tech equipment. It’s this attitude and access to high quality equipment that allows us to offer comprehensive custom shaping for flashings and all other special steel requirements. Our new Variobend Double Apron Bender from ASCO GmbH (Germany) is just one example of how we’re shaping Australia’s future one sheet at a time.